Matteo Salvini, the long time 'Lega Nord' Fascist and huge Putin fan, has pursued a vile campaign of blatant racism, stirring up hatred of immigrants, inciting violence - and more recently, quoting Mussolini. Now the Coalition Government he's part of is tiring of it all, fast, as his 'Five Star Party' co-leaders finally realise who they're really in bed with. Italian voters from across spectrum took to the 'anti-establishment' 'Five Star', founded by a TV comedian in 2010. But now the M5S-Lega Coalition has some major doubts on Salvini's anti-immigrant rhetoric and policies. Libya is not a safe landing point. Human rights are not guaranteed, so migrants cannot be left there. Other M5S politicians have come forward as attacks on immigrants have risen. 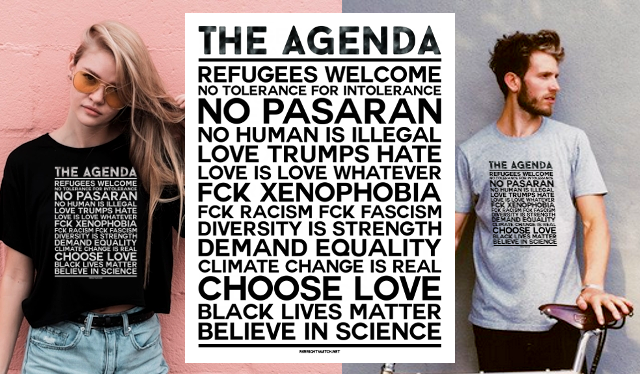 All of us, starting from those in the political world, have the responsibility to create a barrier to these unacceptable, cowardly [racist] episodes. More importantly, anger is coming from M5S voters, who never voted to let Fascists like Lega Nord into power. I was against M5S collaborating with the League ..
.. mainly because I hate Salvini. For years he insulted people from the south. Many others I know who voted for M5S also do not like the coalition; the two parties don’t have many points in common. And now Lorenzo Fontana, the Lega Nord 'Families Minister' is planning to scrap the Anti-Fascist 'Mancino Law' passed in 1993 to outlaw racist violence and hate speech. Meanwhile those who actually voted Lega Nord to leave the EU are pretty unhappy too, now that 'Irexit' has been quietly dropped from the Coalition Manifesto. The clock is running on this Coalition. 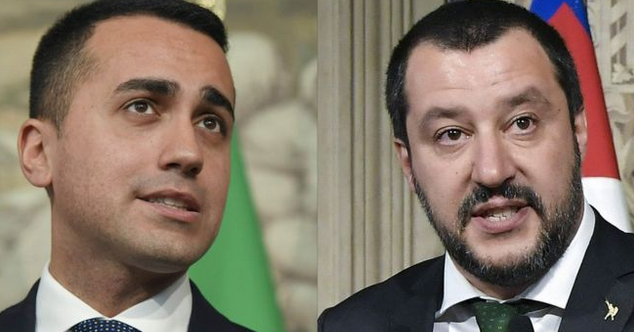 With Italy's decades-long history of as many Governments in as many years, the future for this coalition is uncertain at best, and doomed at worst. 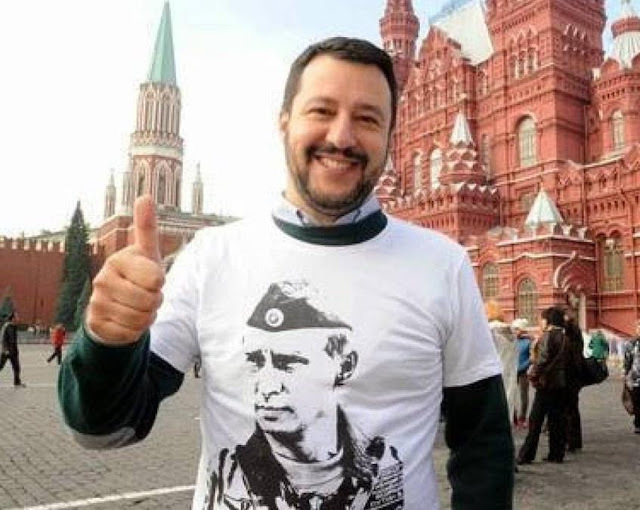 Salvini, Vladimir Putin's biggest fan, and strongly rumoured to be funded by him for many years.